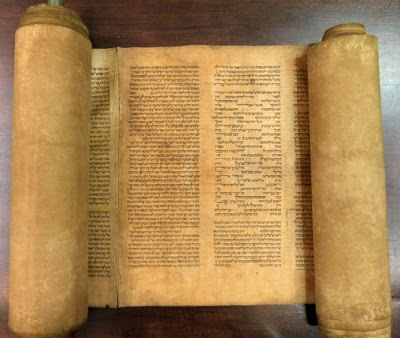 ITALIE – Bologne - An Italian scholar said Wednesday that he had discovered the oldest known complete Torah scroll, dating from the 12th to the 13th century. The roll, which contains the Pentateuch, or five books of Moses, was stored in the library of the University of Bologna and mistakenly catalogued as a document from the 17th century. Mauro Perani, a professor of Hebrew, said that the scroll was written and its segments of sheepskin sewed together between 1155 and 1225. He said that it was not the oldest known biblical text, but it was the oldest scroll of the Pentateuch found so far. Two independent studies corroborated the scroll’s age through carbon-dating tests, the university said. 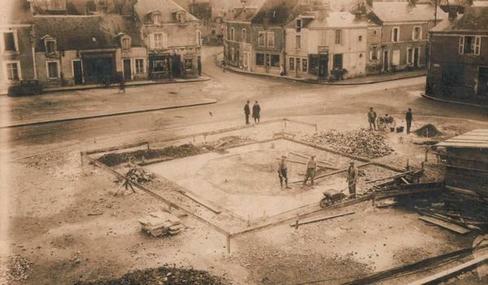 FRANCE – Rennes - Retrouvez vous à l'intérieur d'une villa gallo-romaine en 3D le 8 juin à Beaulieu . 4 écrans de 80 mètres, un sol de 30 mètres carrés, formant un espace où l'on peut se déplacer et interagir au sein d'un environnement virtuel en relief : bienvenue sur la plateforme de réalité virtuelle Immersia. 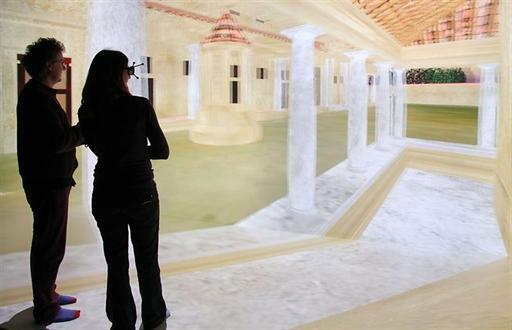 Les 7 et 8 juin, les scolaires et le public pourront explorer la villa gallo-romaine en 3D relief, reconstituée d’après les résultats des fouilles conduites en 2009 par les archéologues de l’Institut national de recherches archéologiques préventives (Inrap) à Bais près de Vitré. 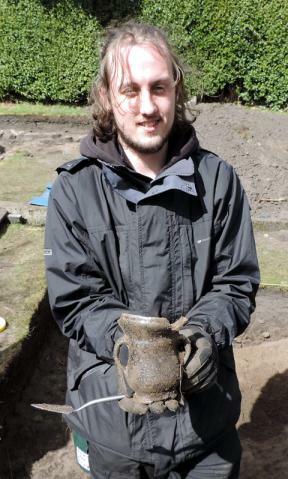 ROYAUME UNI – Rainford – In the latest Rainford community archaeological dig locally produced 16th and 17th century pottery was discovered in a kiln site, including a number of complete vessels. The excavation was arranged after a resident in the heart of the village discovered an almost complete 17th century cup, or ‘tyg’, while gardening in 2011. Following a series of test pits carried out by the Merseyside Archaeological Society and National Museums Liverpool, it was revealed that a deposit of 16th century waste pottery had been dumped there by a local kiln site. Trenches were opened up to explore the archaeology of the garden and recover more artefacts from site. As well as pottery, the team also discovered the remains of a floor surface to a building or workshop. 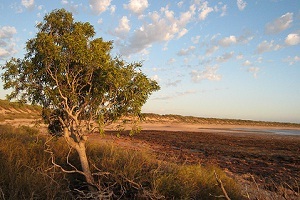 AUSTRALIE – Barrow Island - A new archaeological survey will investigate human occupation sites at Barrow Island, from the time it was joined to the mainland between seven and eight thousand years ago. UWA Archaeologist Professor Peter Veth, who has excavated ancient archaeological sites in the Monte Bello Islands over the past two decades, says Barrow Island is the next logical place to look for sites of human occupation that probably ended as sea levels rose. Prof Veth says the team will also be looking for evidence of any continuing Aboriginal presence between that time and the next known occupation, a 19th century pearling camp. “There are modified glass artefacts, remains of fauna, turtle bones and lots of other materials from that period,” he says. He says a later occupation appears to be a base for a 1920s trepang (Holothuroidea) fishery. “We will have one crew working on what we call aerial or open-site survey,” he says. “The second will be working on [two] rock shelters or caves. The Indigenous archaeology [is] quite substantial and should have good deposits. “The third crew will be working down on Bandicoot Bay on the historic pearling camp and they will be surveying the extent of the site and … doing limited test excavations in the historic material area.” The excavation team will employ what he describes as “wet sieving”, a newly-developed technique designed to retrieve minute particles of organic matter such as bone fragments, seeds and charcoal on site. TIBET – - Naxi - Recently, an opening ceremony was held to crown the ancient salt pan with millennium history the National Key Cultural Relics Protection Unit in Naxi Township of Markham County, Chamdo Prefecture of the Tibet Autonomous Region. 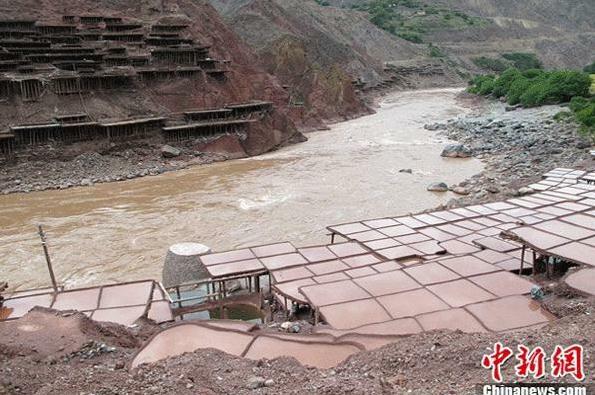 According to Liu Faming, party secretary of the Naxi Township that the salt pans are mainly distributed in three places, including Yanjing Village, Jiada Village and Naxi Village of Naxi Township. 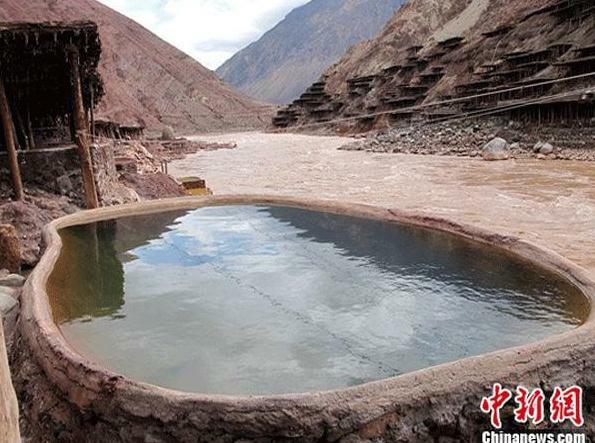 Located in the Ancient Tea Horse Road, people from the Naxi Township has begun to produce salt by the brine water since a thousand years ago. In ancient times, salt selling was the primary source of income for local villagers. The salt production process is quite simple, and can be divided into three steps. First, put the brine into the salt pans and then let it dry, the process of which usually lasts seven to eight days, and after most of evaporation, people can collect the leaving white salt. Usually, the upper layer of the salt is better than the lower layer.